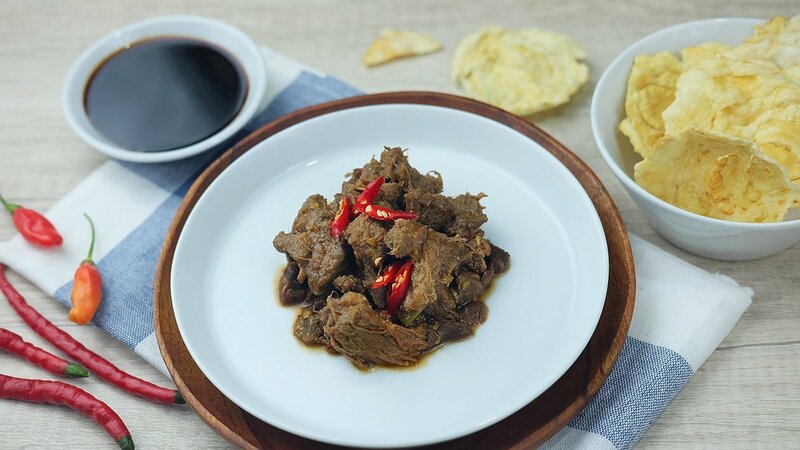 This typical East Javanese dish is packed with flavour. The combination of beef and offal is perfectly complemented by a serving of warm rice. Get ready for the big crowds waiting to give this delicious meal a try! Purée the shallots, garlic, cayenne pepper and 75g of large red chillies. Mix the ingredients and fine spices together. Cook over a low heat until the mixture thickens. Add the sliced chillies and tomatoes into the stew. Plate the stew, and add the fried chips and shallots.